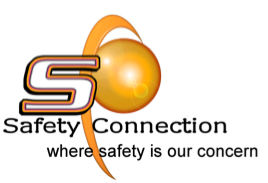 Safety Connection offers a 3 day Certification Part 1 program with 2 instructors to administer the program. It meets Chief Prevention Officer approval. Safety Connection is listed on the Approved Providers list found on the Ministry of Labour website at www.labour.gov.on.ca. Contact noel@safetyconnection for information and to obtain the registration form. We are approved providers for the two day Certification Part 2. Once Part 1 is completed, an assessment is a requirement, which we can also help you with. From this assessment, the company will determine topics which are company specific for your participants. We can help you with a list of topics which we provide. Please contact noel@safetyconnection.ca or carolann@safetyconnection.ca for further information. Companies that have received Certification training are required under Ministry of Labour Standards in 2015 to have a Refresher every 3 years. This program is a one day course and it reviews essential and current legislation and provides the opportunity for resolving health and safety issues. Our consultants work together with the client to identify, assess and determine safety, health and environmental needs, based on the client’s readiness and capacity.